The inability of Imo State Governor, Rochas Okorocha to secure the All Progressive Congress (APC) governorship ticket for his son-in-law, Mr Uche Nwosu, has forced him to direct his anointed candidate to dump the APC for Action Alliance, to realise his dreams, SecretReporters can authoritatively report. Uche Nwosu who has done everything possible alongside Okorocha, to make the party National Chairman, Adams Oshiomhole change his mind, decided to abandon the party after a meeting held on 26th November, with some key political stakeholders of the rescue mission family. Our source disclosed that the decision to use Action Alliance was based on two reasons. Firstly, the AA is before the APC and will be easy to spot during voting. Secondly, the party was formed by Rochas Okorocha in 2003 when he ran for the presidency but failed woefully. Almost all the current APC Executive Council members in Imo State will soon resign to join the Action Alliance, where they will play prominent roles. Okorocha we gathered is also making moves to align with the PDP at the national level to see that Mr Muhammadu Buhari loses the election to Abubakar Atiku, to retaliate the rejection of his godson by APC and also send a signal that Oshiomhole is not capable of winning election at the federal level. 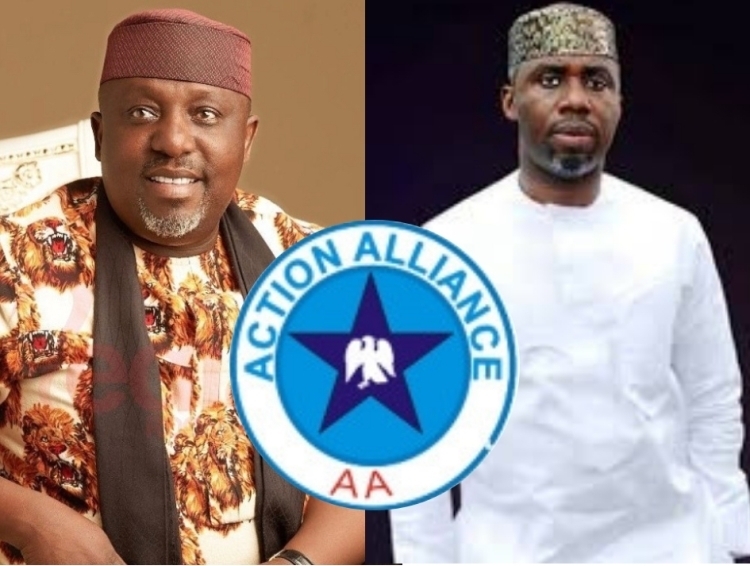 Uche Nwosu we gathered will declare his intention publicly this weekend, even though his name is already on the Independent National Electoral Commission (INEC) list as the Action Alliance candidate for 2019. Calls placed to the governor’s Chief Press Secretary and Uche Nwosu were not responded to.